Adding script support to an engine has many benefits such as writing game play code without recompile the engine source code which may takes a long time. It also can draw a much clear boundary between the game code and the engine code. I chose to use Lua(ver. 5.1.4) as it is easy to embed and its size is small. As I am no expert on Lua, I would like to write about what I have learnt on how to bind Lua and C/C++. 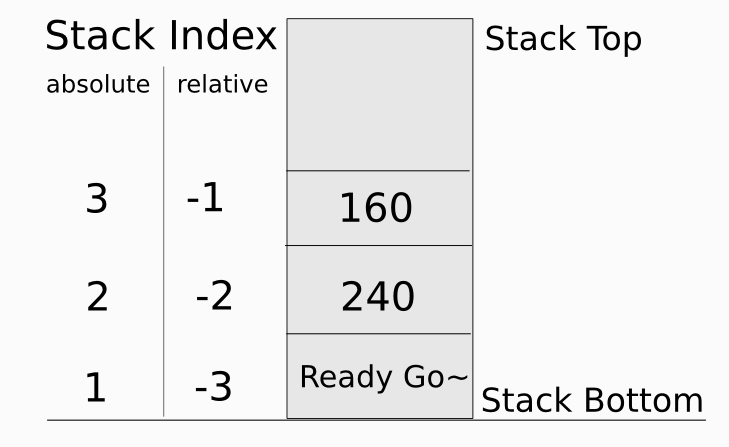 We can get the values from the stack in C using an absolute index counting from the bottom of the stack (start from 1) or a relative index to the top of the stack (start from -1). 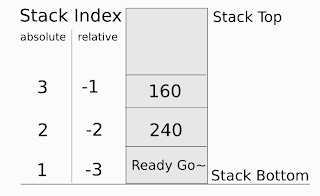 const char* str = lua_tostring(luaState, -3);	// get the value "Ready Go~"
After Lua get the return value from the C function, the parameter and the return value of the C function will be popped out of the stack. 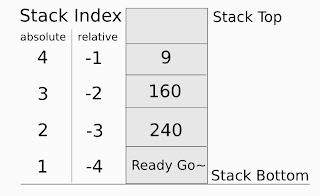 lua_insert(luaState, -2);	// swap the order of "gameObjectA" and "update"
lua_pushnumber(luaState, 1.0f/30.0f);	// push the timeSlice argument on the stack. lua_call(luaState, 2, 0);	// execute the functions. This is basically how Lua interacts with C, but you also need to know how to represent C structure as user data or light user data. You may also need to know LUA_REGISTRY_INDEX for creating a variable in C without worrying conflicts in variable name. 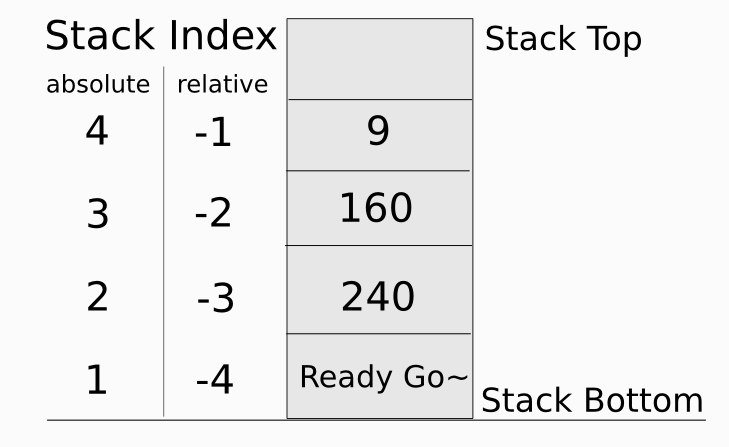 After knowing these things you may want to try some binding library to generate the binding. But I hope these little binding methods can help someone who want to bind Lua and C on their own. 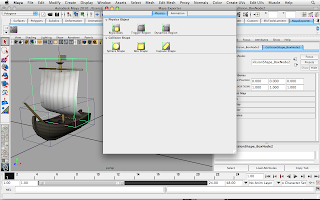 Tools are very important in game production, especially when you are working with someone who cannot write code. In my project, I worked with 2 artists, so I need to write some tools to export their models to my engine. There are different choices to export the models, you can parse.obj file format(for static model only), reading .fbx file using FBX SDK, reading COLLADA files... But I choose to extract it directly from the modeling package that the artists use - Writing Maya plugin to extract the model data. For the details of getting the mesh data, you may refer to MAYA API How-To and Maya Exporter Factfile. After getting the mesh data you can export them by creating a sub-class of the MPxFileTranslator and overwrite the writer() function. 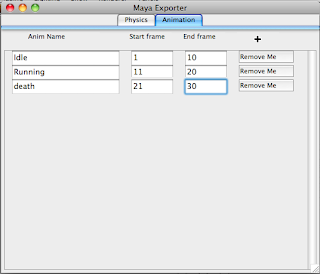 You can find some useful sample code provided by Maya inside the Maya directory (/Applications/Autodesk/maya2010/devkit/plugin-ins/ on Mac platform) such as the maTranslator.cpp and objExport.cpp. This plugin works similar to the Dynamica Plugin (In fact, I learnt a lot from it. ), except mine can just define simple shapes with only spheres, boxes and capsule shapes. And my plugin cannot do physics simulation inside Maya, it is just for defining the collision shapes. Those collision shapes (sphere/box/capsule) are just sub-class of MPxLocatorNode by overriding the draw() methods with some openGL calls to render the corresponding shapes. In conclusions, extracting mesh data directly from Maya is not that hard. We can get all the data such as vertex normals, UV sets and key frame data from Maya and do not need to worry about the data loss during export through another formats, especially animation data. 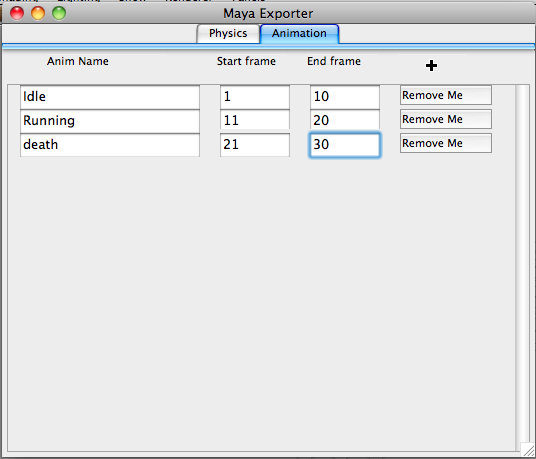 Also Maya provides a convenient API to get those data and it is easy to learn. After familiar with the Maya API, I can also write another plugin to define the collision shapes. Next time when you need to export mesh data, you may consider to extract them directly from the modeling package rather than parsing a file format.